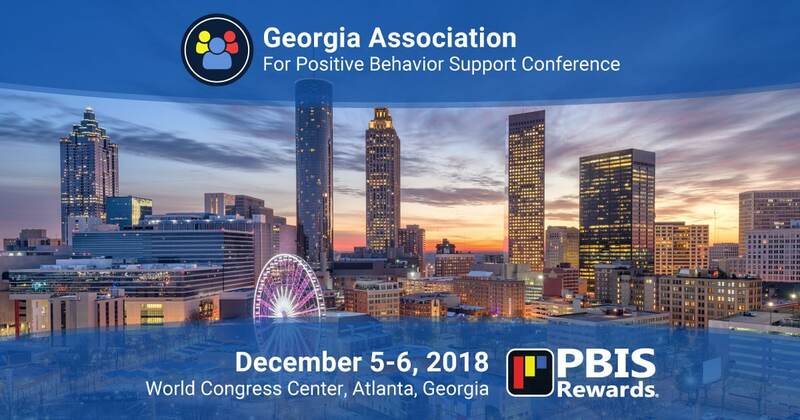 PBIS Rewards is excited to join Georgia Association for Positive Behavior Support (GAPBS) again for its annual GAPBS Conference. Now in its 11th year, the 2018 GAPBS conference brings together educators, mental health professionals, interventionists, support staff, and family members to discuss positive behavioral supports. This years’ conference theme is “Connecting School, Community and Home Through Positive Behavior Support” and will take place December 5-6, 2018 in Atlanta, Georgia. No matter your professional or personal focus, GAPBS 2018 will provide practical and valuable information related to positive behavior support. You won’t want to miss the informative presentations packed into this two-day conference! Each year GAPBS offers keynote presentations supporting the theme of the conference. Keynote speaker Kevin Hines is a mental health activist with a powerful story about building a personal support system. Additionally, keynote speaker Dr. Laura Riffel is a nationally-known educator who trains educators, parents, and many others on positive behavior supports. Each keynote session will provide attendees with relevant, practical strategies for supporting students who struggle. PBIS Rewards is excited to return to GAPBS as an exhibitor and platinum-level sponsor for the 2018 conference! You will have multiple ways to connect with PBIS Rewards at the 2018 GAPBS conference. You can visit our exhibitor table to experience PBIS Rewards’ ease-of-use, meet some of the team, ask questions, and pick up some swag. You can also join PBIS Rewards during our breakout session demo of PBIS Rewards. In our session, we will cover all of the features in PBIS Rewards, demonstrate the suite of PBIS Apps, and involve those attending in the experience of our powerful PBIS management software suite. Stop by and see us, we’d be happy to answer all of your questions. PBIS can transform school culture, and PBIS Rewards can help to simplify your efforts! GAPBS 2018 takes place at the World Congress Center in Atlanta, December 5-6, 2018. Early bird registration opened June 1 and continues through August 31, 2018. Register before September 1 and save! You may register for the conference here. Can’t attend the 2018 GAPBS Conference in Atlanta? No worries! You can still experience PBIS Rewards in action with a free, live online demo! See how PBIS Rewards can simplify your PBIS program management and help you build a positive school climate. Request your demo here!